(Reston, Va., January 28, 2019) – Consumers want quality flavor in milk. 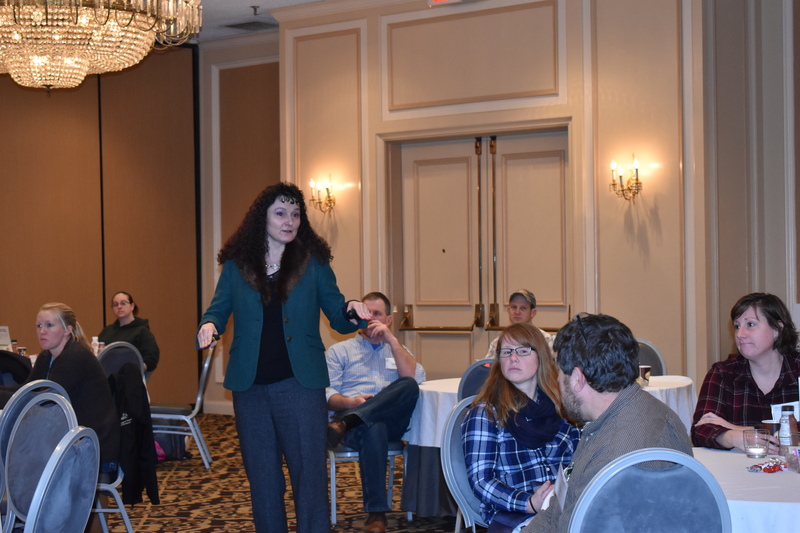 That’s according to Dr. MaryAnne Drake from North Carolina State University and the consumer research she shared with Maryland & Virginia Milk Producers Cooperative’s Young Cooperators (YC) who attended the organization’s annual YC Conference in Lynchburg, Virginia earlier this month. “To sell milk, we as an industry must understand the consumer and understand how milk processing impacts consumer quality,” said Dr. Drake. As the Director of the Southeast Dairy Foods Research Center and the Director of the North Carolina State Sensory Services Center, she is known internationally for her research on the flavor and chemistry of foods. Dr. Drake’s fluid milk research has looked at all aspects of processing from varying pasteurization techniques to how packaging affects milk flavor. She shared that dairy processors must take into consideration what people want to buy, and in order to make what people want to drink. “It was interesting to learn that consumers are buying milk based on taste now. 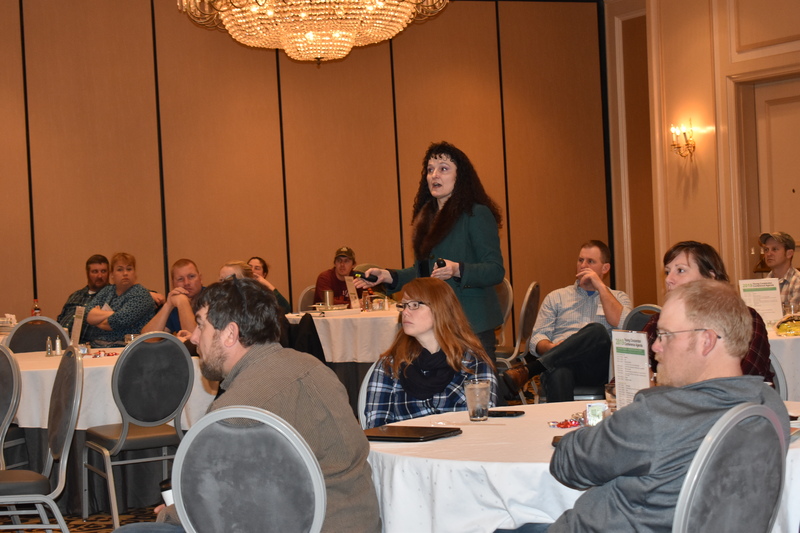 Consumers who stated they typically purchase low fat milk choices prefer whole milk in blind taste tests,” said Jennifer Malott, a YC attendee from Smithsburg, Maryland. Dr. Drake’s consumer research has investigated why and how consumers make their milk purchasing decisions – from labels such as organic, to types of packaging to fat content. Survey respondents stated they prefer milk labeled as locally farmed, and across the board in the different consumer groups, people rated wanting milk that tastes good as the highest decision factor in purchasing milk, compared to price or brand. She has even conducted consumer panels with children to survey what type of milk and milk packaging children prefer. “We also learned from Dr. Drake that kids want plastic twist-top single-serve bottles with whole milk,” Jennifer added. The cooperative’s Maola milk branded products deliver on these consumer expectations: the milk is locally sourced from family farms, packaged at the closest bottling center to capture its wholesome goodness, and delivered fresh to nearby stores for the best taste experience. As for the future of dairy research, Dr. Drake plans to continue to research consumer perception of dairy foods and dairy ingredients. Some of the Dairy Foods Research Center’s work includes looking into the varying factors in protein beverages and to investigate how light and oxygen affect milk flavor on varying types of pasteurized milks. Dr. Drake noted there is an opportunity to educate consumers. “The market is very competitive and expanding, but we have the chance now to inform consumers about the many options with fluid milk,” she said.